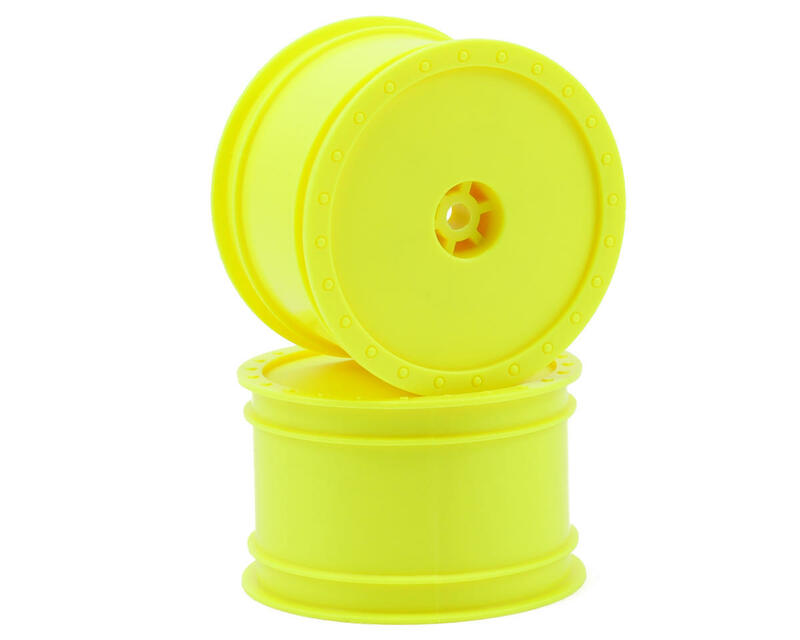 This is a set of two DE Racing “Borrego” 2.2 1/10 Buggy Rear Wheels, and are intended for use with the TLR 22. Born from the grueling demands of the Baja 1000 and forged by the wheel to wheel action of Crandon, DE Racing brings the RC world the “Borrego” buggy wheel. 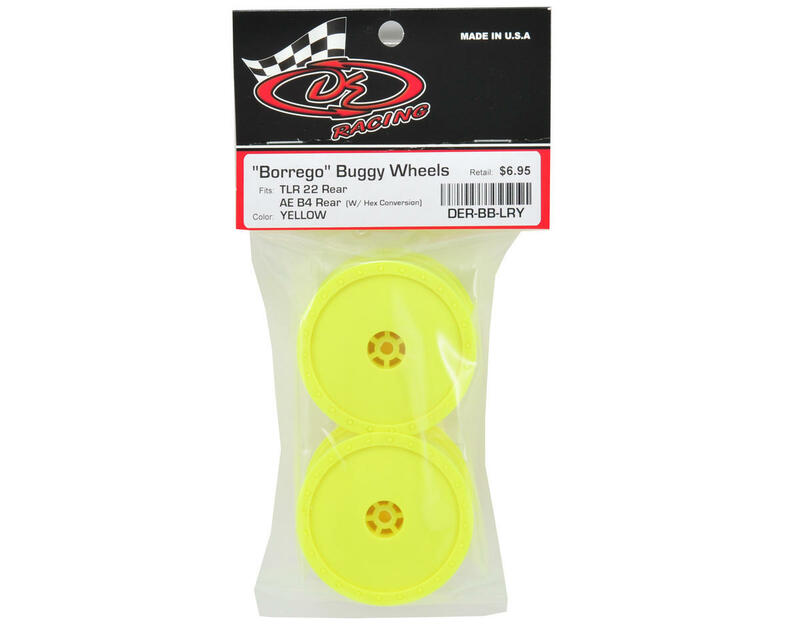 Constructed to satisfy the most discriminating racer while offering scale realism that has never before been available for 1/10 buggies, the “Borrego” wheel is sure to be a new favorite for many drivers.